"You start out thinking you will change the world and instead you learn from the poor." When you ask Ben Hoogendoorn what stands out for him from his time at FH Canada, you won’t hear stories about his climbing the ladder from a manager to a director to President. You also won’t hear about his memorable international adventures with donkey rides in Afghanistan, dancing in Rwanda and dining in Cambodia (see page 8)— at least not at first. As you talk to Ben, the focus quickly turns to his time as a child sponsor, and it’s clear how much he values each individual child he has supported and encouraged—both from a distance through letters and in person as he travelled to different FH Canada partner communities. Ben and his wife Willie sponsored their first child in Cambodia in 1997. That year, Ben travelled to Southeast Asia where he met Vansy and saw the community development work of FH Canada firsthand. At the time of the trip, Ben owned a farm equipment dealership in Vernon, B.C., (a company he bought with partners in 1977, and later became the sole proprietor in 1987). He was so moved by the transformation in Cambodia and the families he was meeting that he decided to personally sponsor a child for every employee at his shop. Seventeen years later, Ben and Willie have sponsored a total of 21 children. While many of the sponsored children have since graduated out of FH’s development programs, the Hoogendoorns still currently support ten children, including 12-year-old Ingabire. She and Ben met at a feeding centre in Burundi seven years ago. At a young age Inabire had fallen into a cooking fire, leaving her face disfigured by severe burns, and her parents had abandoned her. Despite the suffering, Ben remembers, she was smiling. 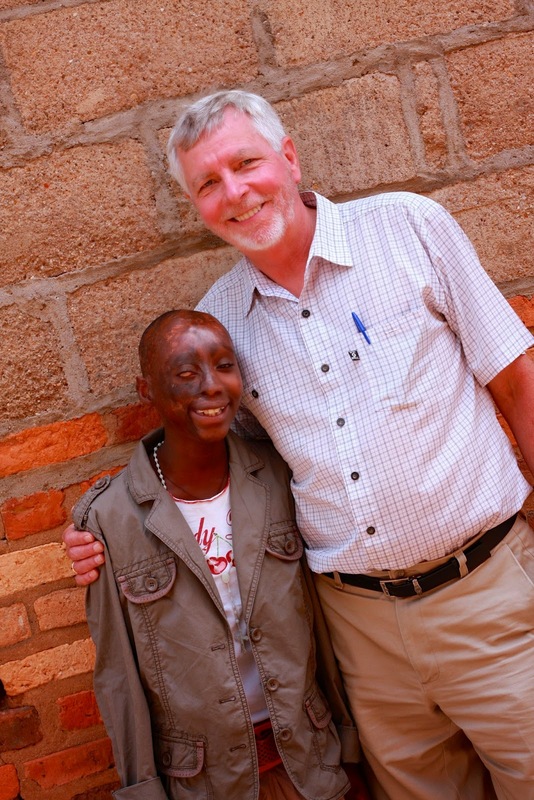 Unable to get the little girl out of his mind, Ben ultimately helped get reconstructive surgery for Ingabire through a non-profit that specializes in complex medical cases. FH Burundi country director Evariste Habiyambere remembers the way Ben’s heart opened to the child and her abandonment. “He was quick to compassionately respond to their needs with financial commitments and was there for the family with words of encouragement and assurance that staff from FH Canada were praying for them,” says Evariste. Ingabire is now in the care of the nuns at the St. Thersea au L’Enfant Jesu in Kirundi, Burundi and Ben has been able to stay in touch. While it’s truly Ben’s personal investment in the work that has impacted so many, he has also been transformative to the organization itself. He started in International Operations, and later used this experience—and his two-plus decades as a business owner—when he became president in 2005. As an organization strongly defined by its vision, mission and values, FH Canada needed a candidate with strong business acumen but also an understanding of the “why” behind the work. Trevor Throness, a business coach and friend of Ben, believes the right person was selected for the job. Once the Canadian office was running more smoothly, Ben began consulting with local field staff to find ways of serving them better. This became something that Ben was known for; every decision he made was filtered through the question—how will this affect the field? While FH Canada has always emphasized sustainable development, it was the next few years of Ben’s leadership that made FH Canada what it is today. In his time as Manager and then Director of International Operations, Ben realized that development should be more about long-term relationships that focus on training and empowerment and less about large-scale, one-off projects. In 2004, the first formal partnership between a Canadian church and a developing community—Lambrick Park Church in Victoria, B.C. and Bereda Belo in Sasiga, Ethiopia. Ten years later, the two are still partners and looking forward to the community’s graduation. The long-term partnership model has grown significantly and now includes churches, businesses and community groups. 2004 also brought the devastating tsunami in Southeast Asia, and with it, coordinated world-wide relief efforts. Ben committed to forming strong NGO partnerships and also ensured that plans were in place to guarantee that the relief work would transition from rehabilitation to redevelopment. This emphasis on partnerships—and on the safeguards against creating long-term dependency—have lasted through FH Canada’s subsequent relief missions in Haiti, Japan, the Horn of Africa and the Philippines. 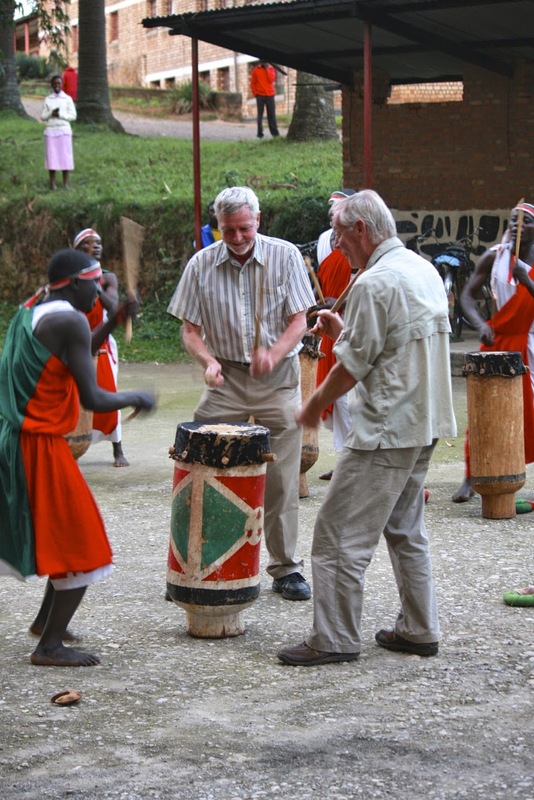 On a wider scale, Ben also helped transform the on-the-ground development processes that make FH Canada well known for its holistic approach to poverty alleviation. Instead of focusing exclusively on clean water access or working to improve education, Ben saw the importance of supporting at least three or four different programs in each field—depending on their needs and resources—but never just one or two. This meant that development work integrated aspects such as health, agriculture, income generation, water access, child sponsorship, leadership training, microfinance and education into a community-authored plan for self-sustainability. And it wasn’t only the programming that changed. Ben remembers talking with a co-worker about the pitfalls of the charitable funding model—the difficulties of budgeting without knowing how many donations will come in, the lull in giving over the summer months and the spike in December—when he realized that FH Canada was doing the same thing to the international field offices. Soon, the fields were able to fund their development activities three years in advance; a level of stability that was revolutionary in helping communities graduate within 10 years. Things were going well in Canada, too. By engaging more churches and relying less on government grants, FH Canada was able to empower local churches in each community to take an active role in their region’s transformation. And that’s what it’s always been about for Ben: transformation. Of the lives of children he’s sponsored, communities he’s walked with and business operations he’s left in excellent shape for his successor as president. Ben’s friend, mentor and former FH Canada Board Vice Chair Bob VanNoppen has watched Ben over the years and seen him both on the international field and in the Abbotsford, B.C. office. In each context, he says, he has served well. This article first appeared in Hope Notes, Issue 16.